This data archive is slowly being migrated to the Center for Science in the Earth System (CSES). A good way to find a data set on this and the CSES pages is to google "jisao keyword," where keyword could be SST, or the name of a particular data set. NOTE: All links to external websites will open in a new window. Close these windows when you are finished with the resource. Key climate time series: North Atlantic Oscillation, northeast Brazil rainfall, etc. Links to WWW sites which provide software to analyze data. The gridded data sets are written in network common data form (netCDF) conforming to the Cooperative Ocean-Atmosphere Research Data Service (COARDS) standard. ( Description of COARDS netCDF standard.) A superset of the COARDS standard, called the NetCDF climate and forecast (CF) metadata convention, includes the possibility to store time series for multiple stations, along with their names and coordinates. MATLAB scripts for reading and writing data in netCDF. MATLAB scripts for reading FITS-format files. MATLAB distributed oceanographic data system (DODS) code for reading files at other institutions. MATLAB code for reading data written in hierarchical data format (HDF). NOAA ESRL provides both FORTRAN and IDL routines to read netCDF files. ASCII dumps of netCDF files (how to read them). GrADS command lines for reading a netCDF file. If you need the data in ASCII format, let me know, and time permitting, I will see what I can do. ICOADS SST & air temp. "WaterWeb" search engine for hydrological data. Let me know if this is useful! The British Atmospheric Data Centre (BADC) provides global, gridded, historical data sets of sea surface temperatures, sea-level pressure, marine air temperature (nighttime) for academic use. NASA Goddard Institute for Space Studies (GISS) provides several global, gridded data sets: surface temperature, precipitation, clouds, aerosols, and other fields. The IRI/LDEO (International Research Institute for Climate Prediction / Lamont-Doherty Earth Observatory) data library contains a broad selection of climate data sets. Pacific Island Rainfall provided by the Oklahoma Climatological Survey. University of East Anglia Climatic Research Unit: historical, gridded, global precipitation, SLP, surface temperature, minimum-, maximum-temperature, vapor pressure, and many other fields. Western Region Climate Center: digital values of climatological mean precipitation and surface temperature for the National Weather Service cooperative network stations in the western United States. NASA Jet Propulsion Laboratory provides high spatial resolution sea surface temperatures and other, more oceanographic, fields. The National Center for Atmospheric Research Computational and Information Systems Laboratory Research Data Archive and Informed Guide to Climate Data Sets. NOAA Climate Diagnostics Center: the NMC Reanalysis data and the Comprehensive Ocean-Atmosphere Data Set (COADS) in netCDF format. Also, water vapor temperature is available here. 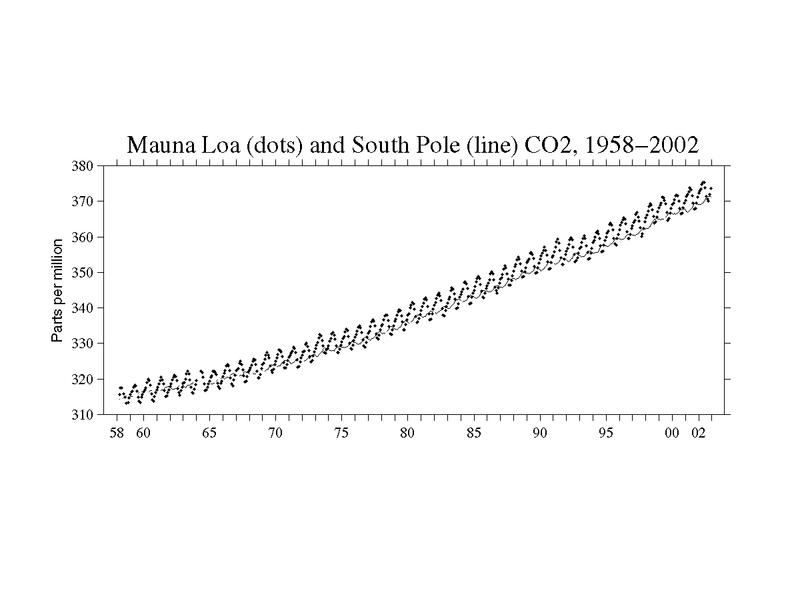 Carbon Dioxide Information Analysis Center: historical data sets. FSU Center for Ocean-Atmospheric Prediction Studies: near real-time monthly-mean pseudostress analyses for the tropical Pacific and Indian Oceans. Global Runoff Data Centre (GRDC) river discharge data. Pacific Island Rainfall provided by the Oklahoma Climatological Survey (PACRAIN). PMEL TAO Project hourly and daily data from moorings in the equatorial Pacific Ocean. National Climatic Data Center: daily, hourly, and 15-minute averages. mostly U.S., but some global. Please send me URLs for sites with useful free software for analyzing data. "Pyclimate" performs SVD, EOFs, filtering, ... using the Python programming language. NCAR NCL manipulates netCDF, HDF, and GRIB format files. Please report problems or corrections to DATA webmaster: Todd Mitchell <mitchell@atmos.washington.edu>. Copyright © 2008-2010 JISAO. All Right Reserved.